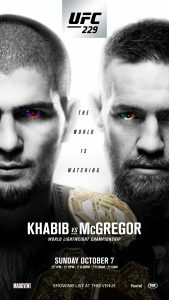 #Khabib VS #McGregor 👊🏽 Watch live here on Sunday 7th October. Grab a $5 rump steak for lunch, a $3.50 schooner of beer and watch the fight from 1pm. Free entry!